Having an accurate system for measuring the weight of objects is essential for any science lab, along with various workshops, offices and kitchens. The two major types of scientific scales are beam scales (also known as beam balances) and electronic, or digital, scales. While both types of scale perform the same function, there are also important differences between them. Electronic scales are among the most precise measuring devices ever crafted. Even inexpensive models are likely to offer more precise measurements than most beam scales. However, electronic scales are also sensitive to environmental factors that can cause an inaccurate reading. This is why some electronic scales use a glass or clear plastic enclosure to protect the surface of the scale and the object being weighed. Another area where electronic scales and beam scales differ is in their power requirements. While beam scales use a mechanical system to measure weight, electronic scales need sufficient electricity to function properly. Some electronic scales plug in, while others use batteries. Plug-in models are useless in the event of a power outage or outdoors. Battery-powered scales cause users to cycle through batteries, producing waste and an additional cost. Both beam scales and electronic scales are capable of being recalibrated. For a beam scale, the beam itself should be level with the scale reading 0 when there is no weight present. Adjusting the scale to 0 before every measurement will ensure that the beam scale is accurate. Electronic scales usually have a manual reset function, either by removing the batteries or holding down a combination of buttons to reset the internal electronics. 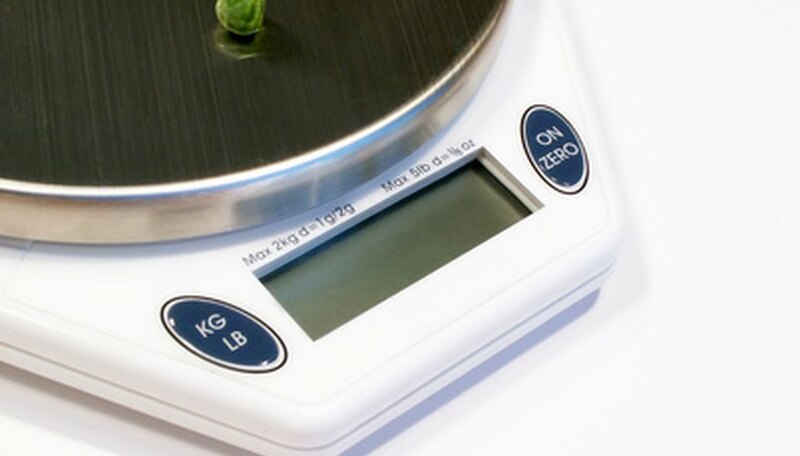 Despite the advanced technology in electronic scales, the price of beam scales and electronic scales is generally similar. In general, the quality of a scale's construction and the precision of its measuring ability is more likely to affect price than which type of mechanism it uses. Simple beam and electronic scales suitable for classroom use may cost less than $100, with more precise models extending into the $200 range. Specialty scales for scientific and research purposes may cost much more. Hartman, Dennis. "Electronic Scale Vs. Beam Scale." Sciencing, https://sciencing.com/electronic-scale-vs-beam-scale-6365703.html. 13 March 2018.